There are No Black Guys in Poland, Right? I had some fun earlier this summer when the City of Toronto Photoshopped a black guy onto the cover of their Fun Guide. At least we added a black guy. 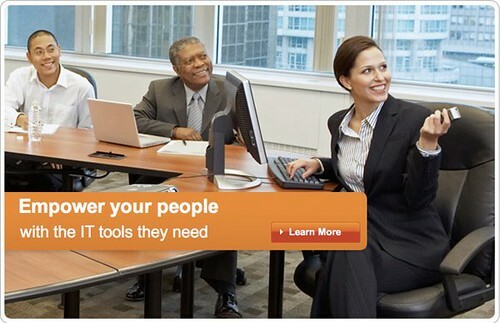 Microsoft got rid of the black guy when it came time to serve up a stock image for Poland. Are there no black guys in Poland? Was that the problem? I'm surprised they kept the Asian fellow... maybe losing both the black guy and Asian guy would be too much. As usual, you PC types focus on a perceived slight to one minority group (black people) while totally ignoring the benefit of another (really happy people with enormous heads and black hands). Wait a second.....There are white people in Poland? Both pictures are screwy. Maybe it's just me, but even the original looks like his head is too big for his body. Perhaps it's just a trick of perspective, but the men also look to be significantly smaller than the woman. Just weird. I just think they are too happy to be at work. Why can't these huge companies just take more pictures? Is it that hard? There are also national groups of Americans, Turks, Hungarians, French, Italians, Serbs, Croats, Bulgarians, Romanians, Georgians, Africans, Palestinians, other Arabs, Kurds and Vietnamese, who constitute small ethnic communities within major cities such as Warsaw, Kraków, and Gdańsk. I knew a black Polish guy - his name was Rufus Zowski. Ya there are black people in Poland, in fact the Poles adopted a soccer player from Africa as their own a few years back for the World Cup...look it up. There are clearly race issues in Poland, but everyone loved Olisadebe. Why am I surprised Argie knew a black guy? Mike - I didn't say I liked him, I just knew him. Poland hasn't been a country to immigrate to because communism stalled its economic development after WWII. So the population is not that diverse. Still, it makes no sense to keep the Asian. Wait....a photo ad for Microsoft and no Indian people?